The commonly prescribed benzodiazepine family of drugs includes diazepam (such as Valium), alprazolam drugs (such as Xanax) and lorazepam (such as Ativan). 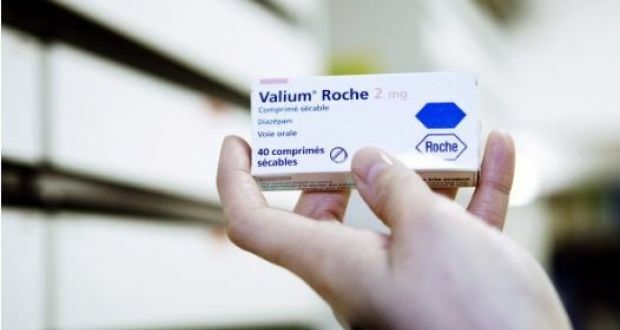 The over-prescription and potential long-term crippling side effects of anti-anxiety drugs such as Valium are described as a “medical disaster” akin to the Thalidomide scandal in a new documentary. Former government press secretary and RTÉ presenter Shane Kenny will screen his investigation Benzodiazepine Medical Disaster at RTÉ Television Centre on Tuesday night. Mr Kenny wrote at the weekend of how he was almost driven to suicide by terrifying and painful effects caused by the Valium he was first prescribed in 2001 as a preventative against Meniere’s disease, an inner ear condition that causes vertigo and vomiting. The symptoms he subsequently suffered over a period of years, including chronic shooting pains in his legs like “electric shocks”, eventually took such a toll on his health that he was forced to take sick leave from his job in 2008.